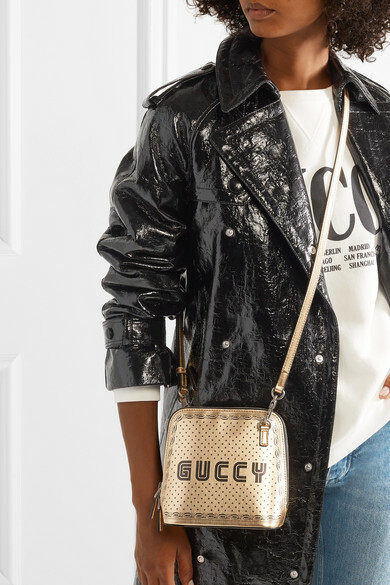 Gucci's bag was featured in both the label's Spring '18 runway and gallery-inspired campaign. 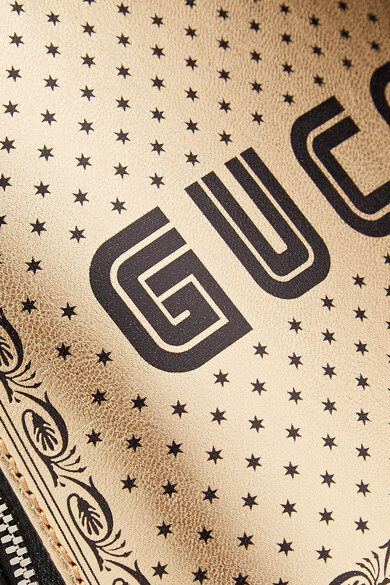 Made in Italy from gold leather, it's printed with dainty stars and a knock-off style 'Guccy' logo in SEGA's iconic font. 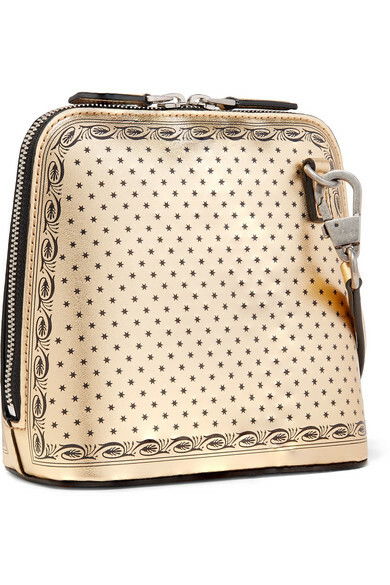 Detach the slim shoulder strap to carry yours as a clutch. Shown here with: M.i.h Jeans Jeans, Gucci Sweatshirt, Sonia Rykiel Trench coat, Gianvito Rossi Mules.